Frugal Boy turned one last weekend and that means it’s time for another check-up… and more vaccines! Andrew’s out of town for the week helping his brother with a cross-country move (more posts on that adventure soon), so I got to take Frugal Boy for the first time in many months. Couldn’t believe FB’s grown almost 10 inches and more than tripled his weight in a year! After a quick look over by his doctor it was time for the vaccines. On the list this time was a flu booster (arm), MMR (leg), chickenpox (same leg), and hepatitis A (other leg). Frugal Boy took them about as well as could be expected (that is not well at all). Not going to be happy for too much longer. With a clean bill of health we left the doctor’s office with an appointment for 3 months from now. It’ll be interesting to see how much he grows by then. New parents and parents to be are constantly bombarded with “you need this” and “your baby cannot possibly survive without XYZ”. 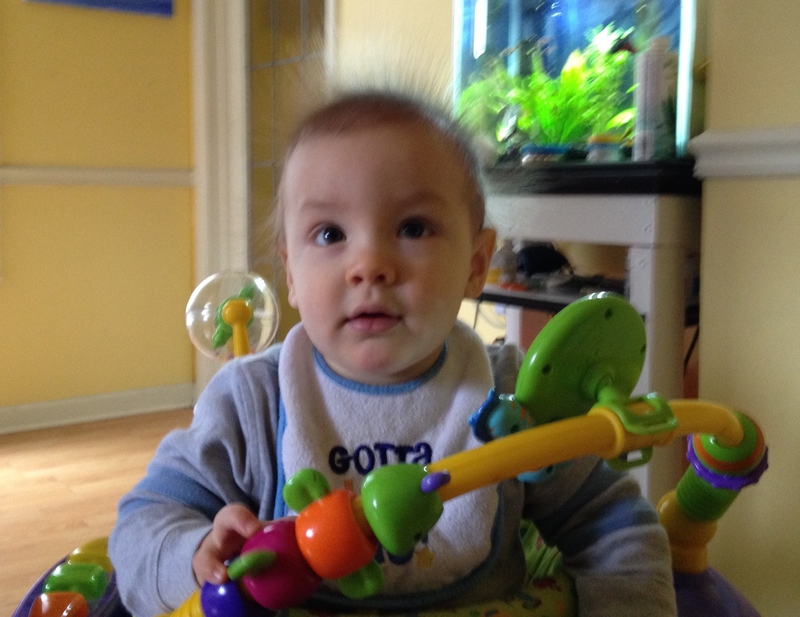 After a year of parenting, this is our list of the 10 most useful/needed baby paraphernalia. It does not include some of the basic necessities like clothing, shelter, and food. Without further ado, here is our list. If you are planning on driving anywhere with baby, you have to have a car seat. The law requires it and some hospitals won’t let you leave with your newborn until you have one. 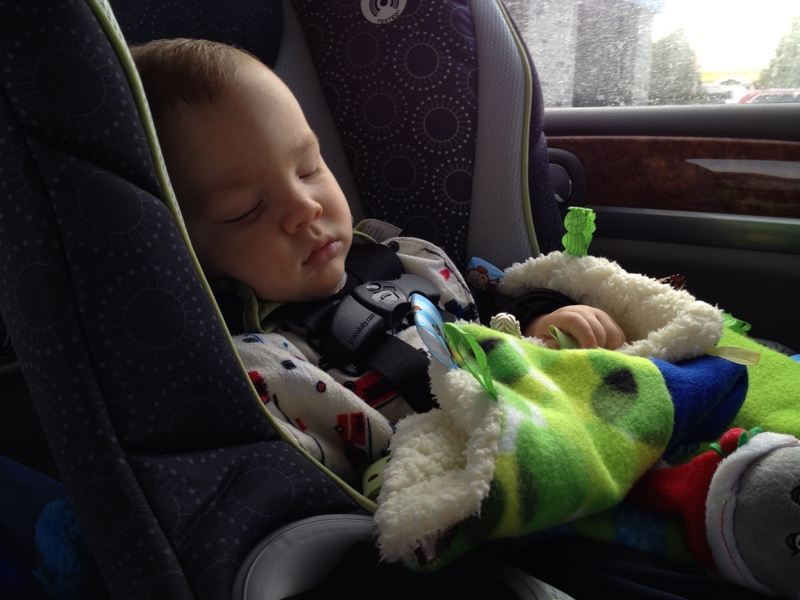 Frugal Boy is on his second car seat after outgrowing his newborn seat. This one should last him until he is ready for a booster seat. 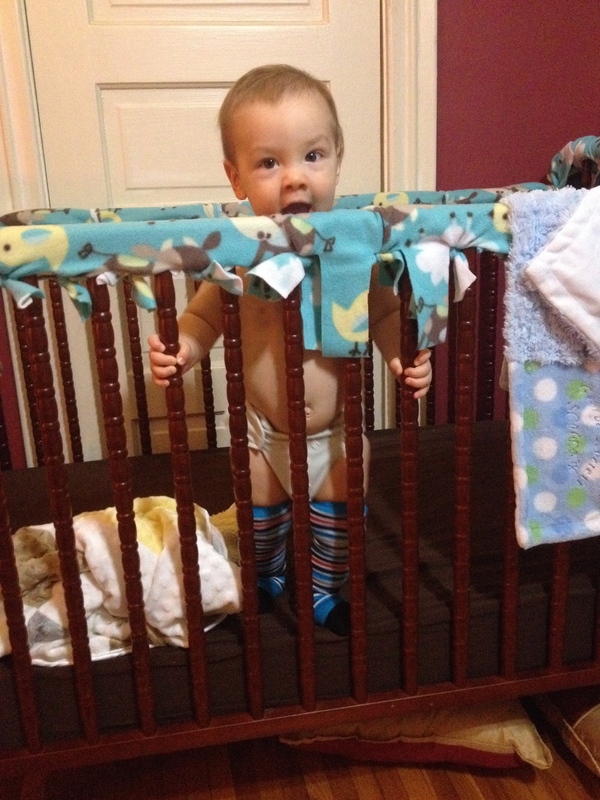 Some kids sleep in their cribs, others do not. Frugal Boy is a bit of both and spends part of his nights in his crib and part with us in our bed. Cribs also double as a holding cell for when you need to get something done without worrying about the safety of your judgement impaired offspring. I get cranky when my blood sugar gets low. Shae gets cranky when her blood sugar gets low. Frugal boy… well you get the idea. Having a ziplock bag full of cheerios stashed in a coat pocket or diaper bag has saved our hides quite a few times from murderous scream fests. The moral of the story is to bring snacks every time you leave home. 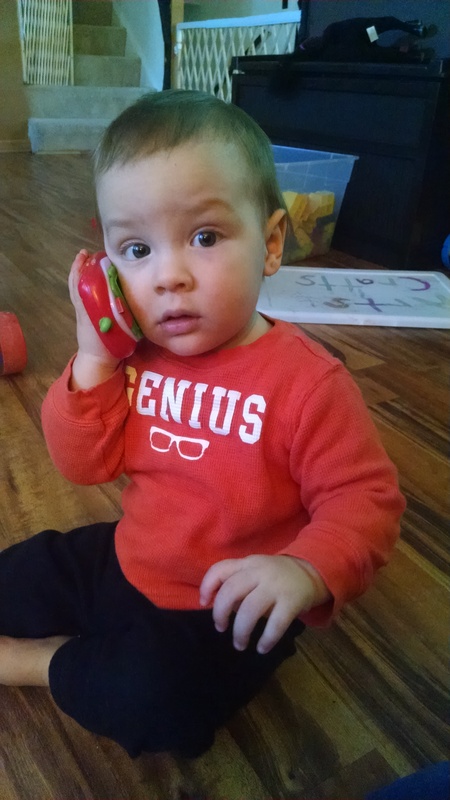 Before Frugal Boy was born, we told ourselves that we would never use pacifiers. Those were a cop out and it was lazy parenting. Our baby wouldn’t need a pacifier. Hahahaha. Frugal Boy made it to about three months and then we gave up and pacifiers became a staple baby item in our house. Do you want to know our secret to making dinner and keeping Frugal Boy away from the hot oven? The neglect-o-matic 3000, also known as an activity saucer. Plop junior in there and you can go about your cooking without having to box out a kamikaze baby from 3rd degree burns. We actually have two strollers. 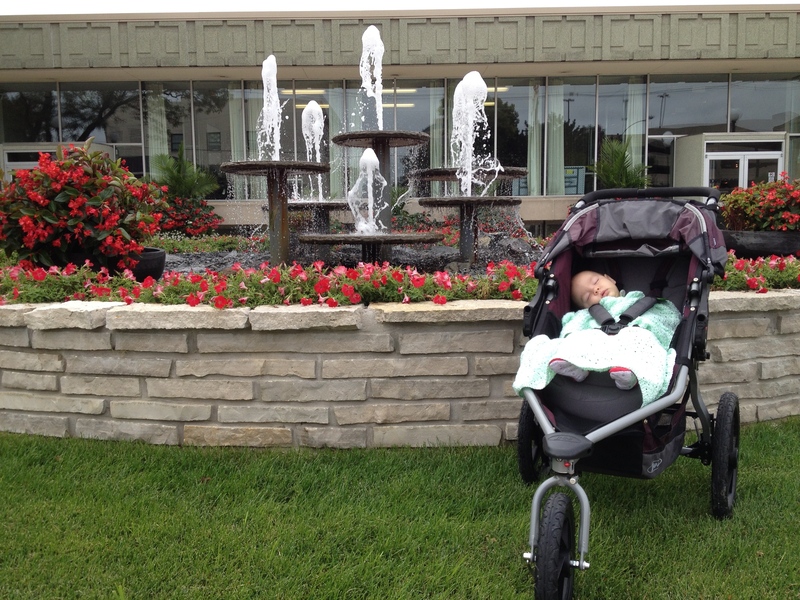 A jogging stroller, shown below, and a travel stroller. Winter time hasn’t been very conducive to using either, but even in the colder weather they still get use. A stroller would be higher up on our list if there wasn’t an even better alternative [hint: keep reading our list]. With that said, both strollers will take a long time to outgrow and will be used well into the future. 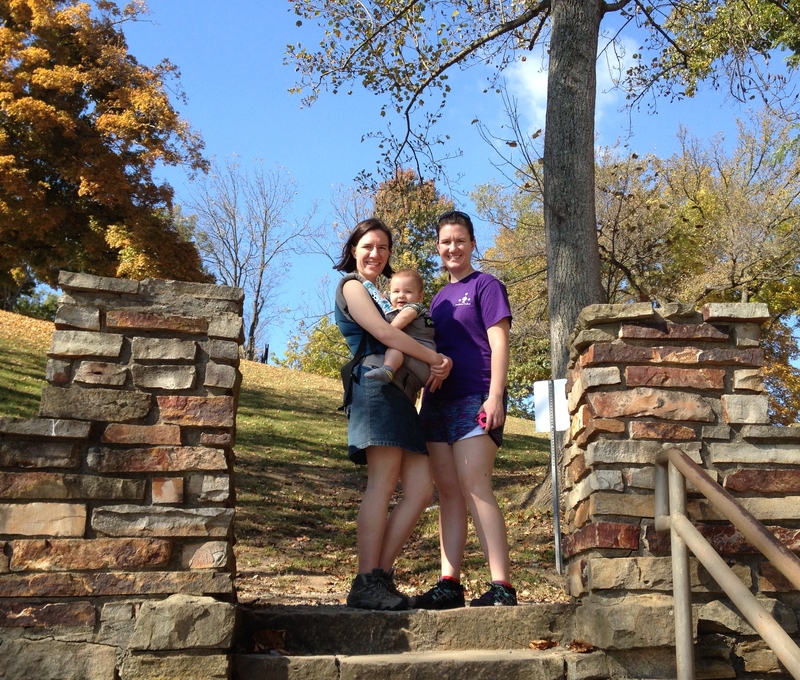 As a working, breast feeding, mom a breast pump has been indispensable for Shae. She started with a hand-me down pump from her sister-in-law (you can buy new fittings) and later bought a newer model to help keep up with demand. 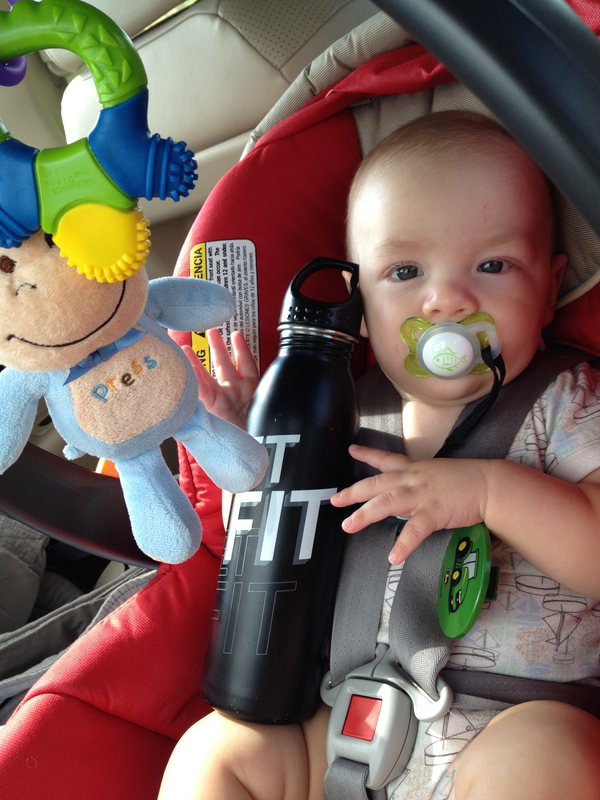 The pump has easily paid for itself given the high cost of formula. The Boba carrier has been our go-to gear for walks, hikes, putting Frugal Boy to sleep, and keeping him out of trouble around the house. In many other cultures, baby wearing is the normal thing to do. 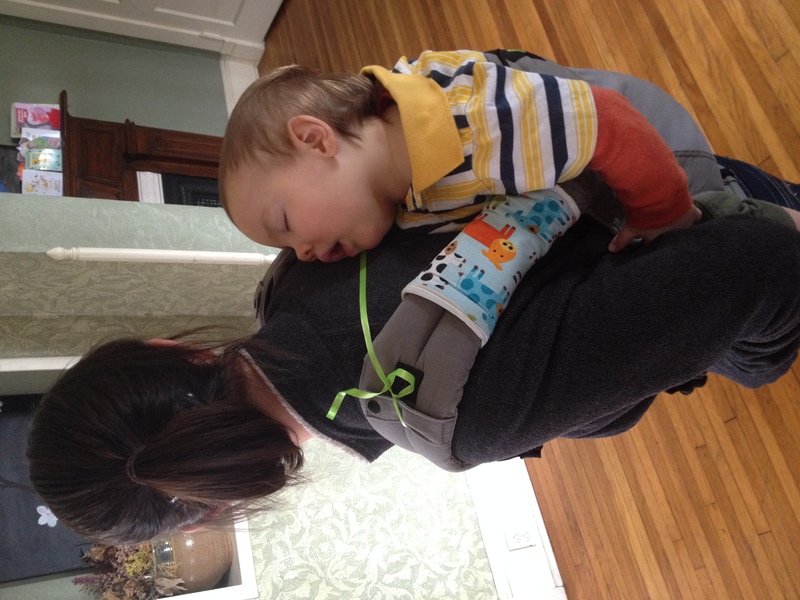 Not only does your baby love being snuggled up close, it also lets you have both hands free. 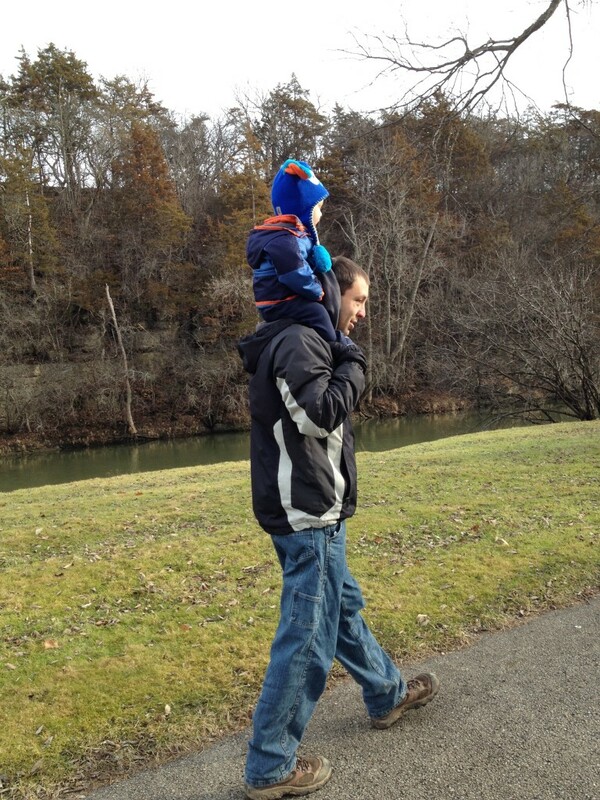 Another perk is that strangers are far less likely to touch your baby when out in public. For some reason, strollers seem to broadcast a “come touch my baby message” and people seem to have no qualms in walking right up and invading your baby’s personal space. With the Boba, that is never a problem. We started with the Boba wrap and moved to the carrier after Frugal Boy outgrew the wrap. 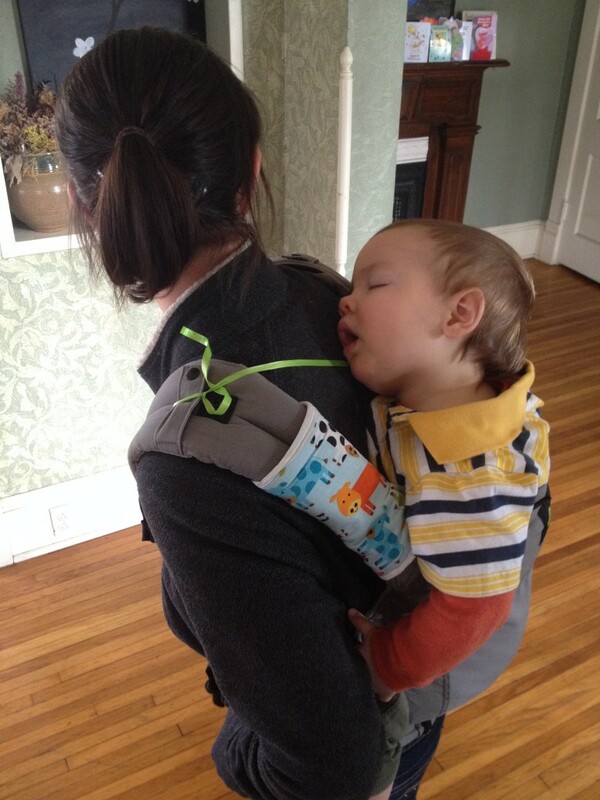 The carrier supports both front and back carry. Frugal Boy has gotten to the point where front carry is uncomfortable for the back after any extended duration. Having a baby means changing a lot of diapers. I mean, a LOT of diapers. 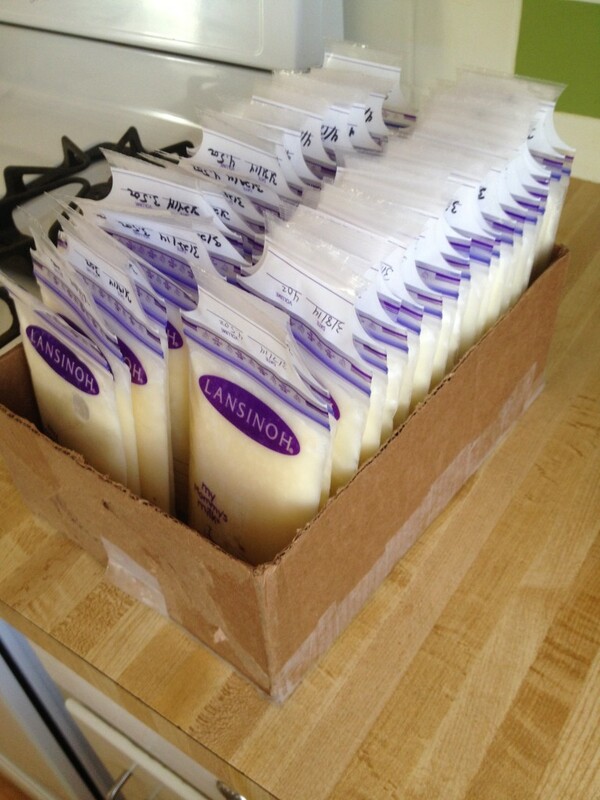 We chose to pay a bit more upfront and use cloth diapers instead of disposable. It is a decision that we do not regret for even a second. 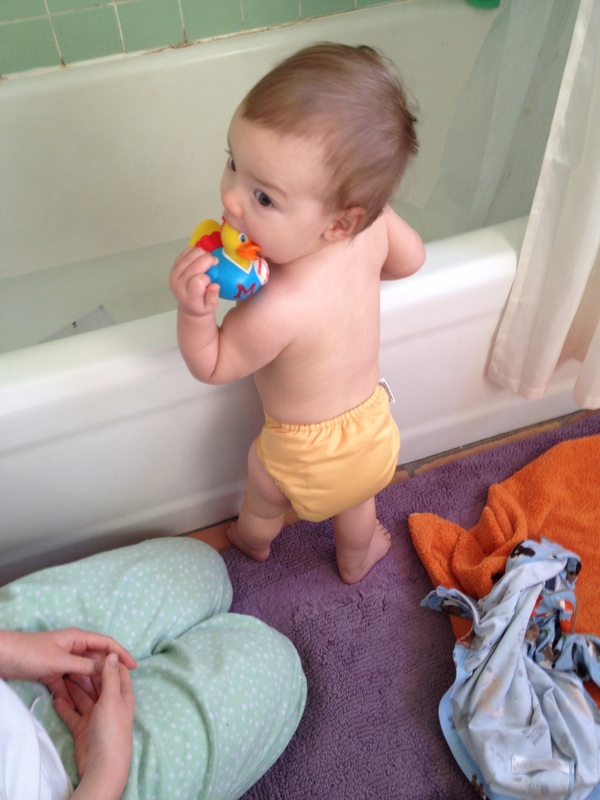 Cloth diapers just feel right, especially from an economical sense and an environmental one. What’s that, Frugal Boy just hosed down the changing table and the fresh diaper? Who cares, just throw it in the laundry and get a clean one out. I personally find myself much more proactive in changing diapers when he is in cloth because it doesn’t matter if he is wet or dry. It’s been an hour since your last diaper change and you smell kind of funky, okay, let’s change your diaper. Oh, and the whole, we need to add diapers to the grocery list and try to find some coupons to knock down the price is a conversation we’ve had a total of zero times. Yay for one less thing on the grocery list. Help. That’s right, a babysitter or a relative or a friend. Basically anyone but your spouse so you can get some time away from baby and recoup a bit. Having a date night with your spouse on a regular basis is super nice and let’s face it, parents can be boring to kids. Having a safe environment that they can explore new things in is great for those sponge like minds. Come to think of it, I don’t have any photos of Frugal Boy and his babysitter. I should, since he loves going to the sitter’s house. Not only is it a new set of toys to play with, but more importantly, there are other KIDS to play with, watch, and learn from. Kids that can match his energy levels. The old saying goes, “it takes a village to raise a child”, so don’t feel like your spouse and you have to do it all on your own. Get help, even if it means paying for it. While I was picking up Frugal Boy from the baby sitter the other day I noticed that the turn signal indicator was blinking faster than normal. That is a good indication that one of the bulbs is burnt out and needs to be replaced. 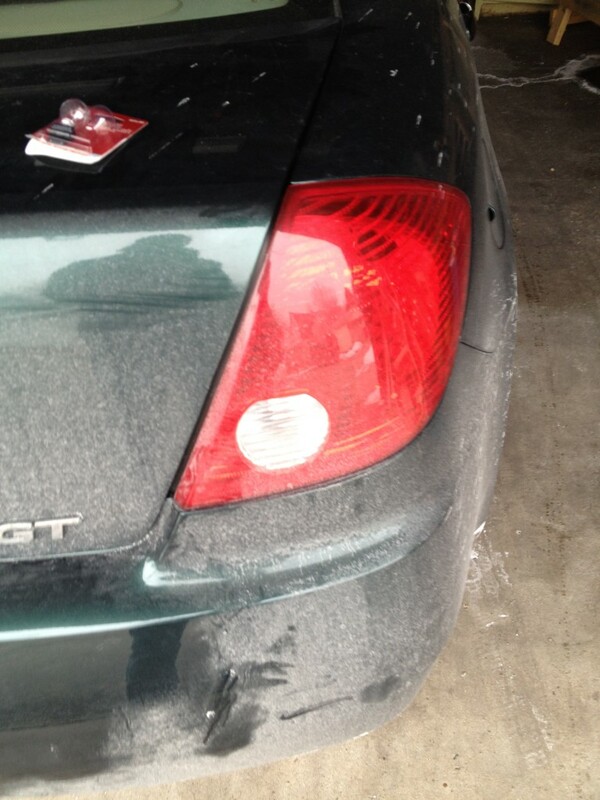 Sure enough, when I got home I verified that the rear turn signal bulb was no longer working. A trip to the parts store and $6 later and I had a pair of replacement bulbs. You should always replace bulbs in pairs. While every car is a bit different the steps are probably very similar. 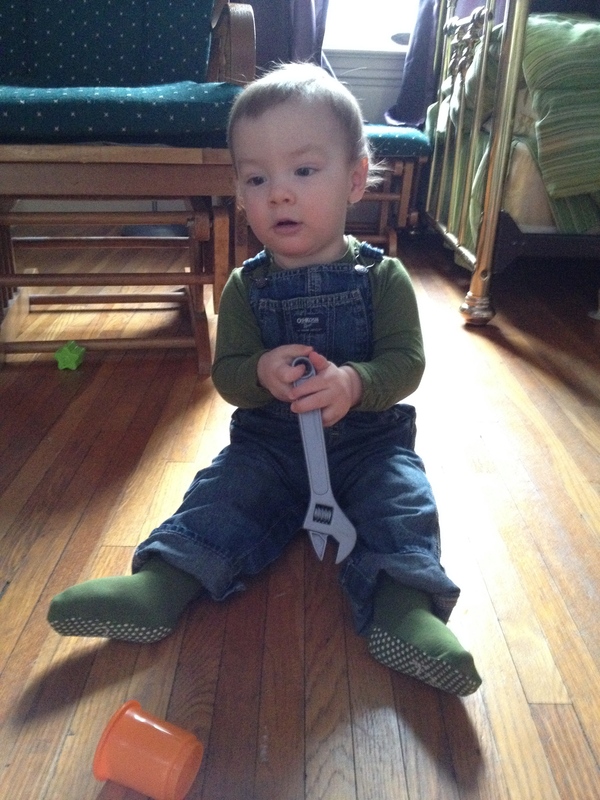 The only tool that I needed was an adjustable wrench. 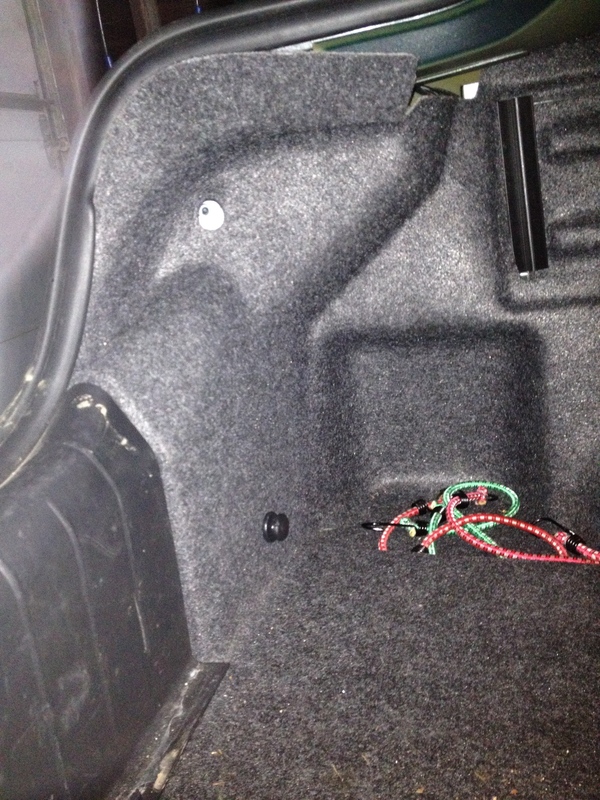 To make the replacement I first had to pop the trunk so I could get access from the inside. There are two black caps that have to be removed. They hold the fabric in place. In the above picture I have already unscrewed the upper cap and the lower cap remains. 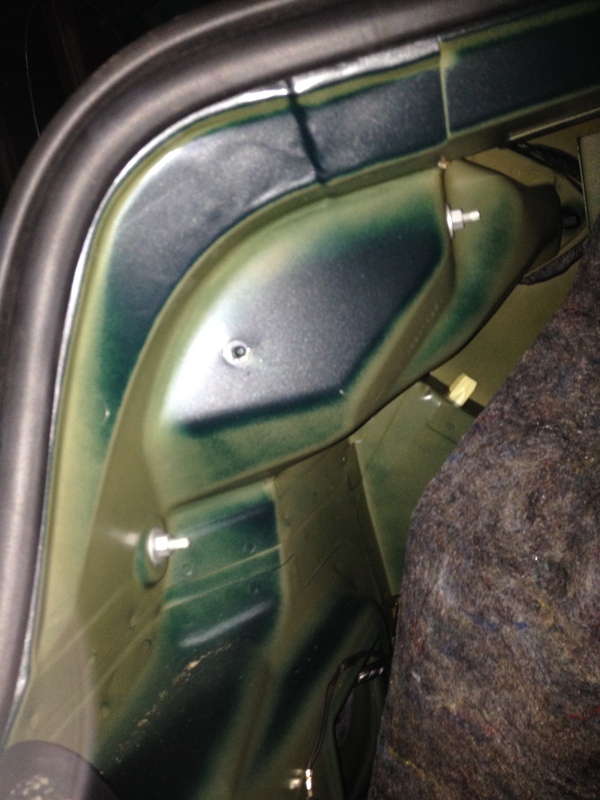 Once the caps are off you can pull the fabric away from the chassis of the car. There was two nuts that I had to unscrew. I was able to do one by hand and the other was just a bit too tight so I needed the wrench. 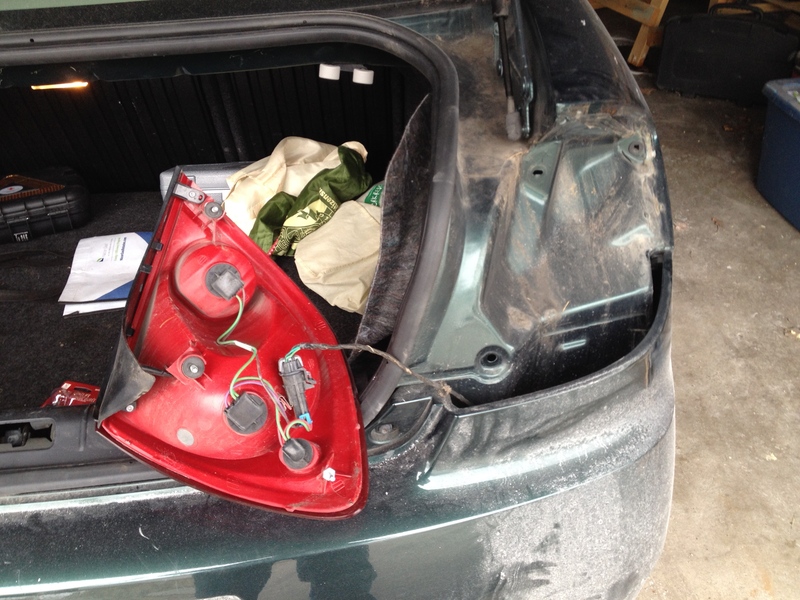 With both bolts undone, the entire tail light assembly should slide out from the exterior of the car like so. Somebody had put a little adhesive (maybe the factory?) so I had to put a little muscle into it. 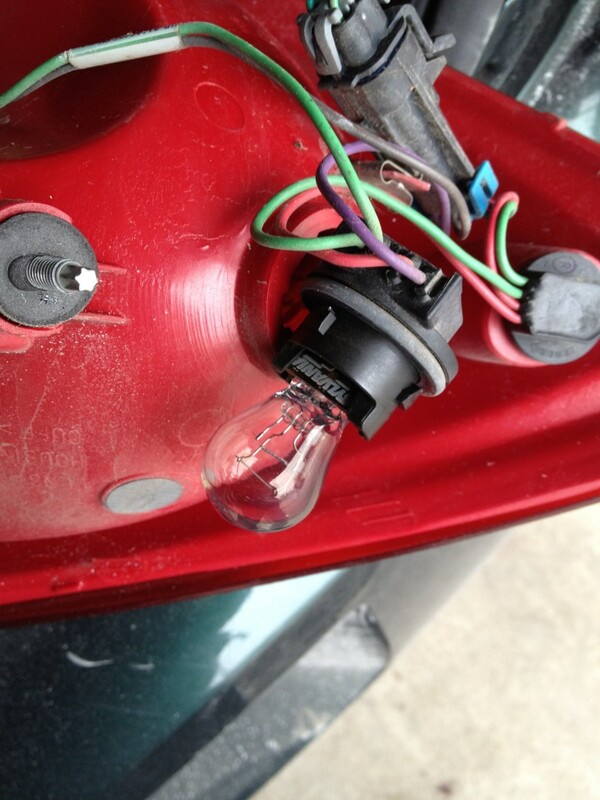 With the tail light assembly dangling by its electrical connections, find and unscrew the bulb mount that you want to replace. Our car had labels underneath the dirt and grime. As you are installing the new bulb, take care not to touch the glass with your hands. Oily residue from your skin will cause the glass to retain more heat and that will lead to premature failure of the bulb. Installation is the reverse of taking it all apart. I like to check that everything works before I fully assemble it all. You can save the good bulb for later. Finally, it is a good idea to keep a record of all your car repairs. Not only is it easy to do with a simple spreadsheet, it also will make resale a bit easier when you can show a history of maintenance to potential buyers. I started logging our repairs last August. I know we are due for an oil change soon and also brake pads/rotors. I’m just waiting for the weather to warm up! It is that time of the year when cabin fever is really starting to take hold and Spring cannot come fast enough. To help take our minds off the last month and half of winter we came up with challenges for each other. Each challenge is designed to better ourselves in some way. Shae gave me the challenge of working out four days a week for at least 20 minutes a day. 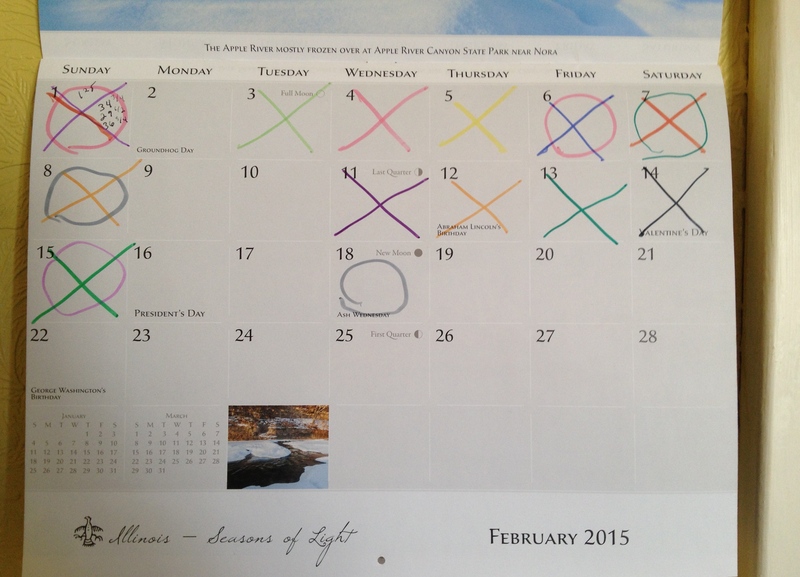 We keep a calendar in our dining room where we can mark each day we workout. Shae has X’s and I have O’s. Frugal Boy’s challenge is to stop waking up and wanting to play between 12am and 2am. Hopefully he will be sleeping through those hours in six week’s time. 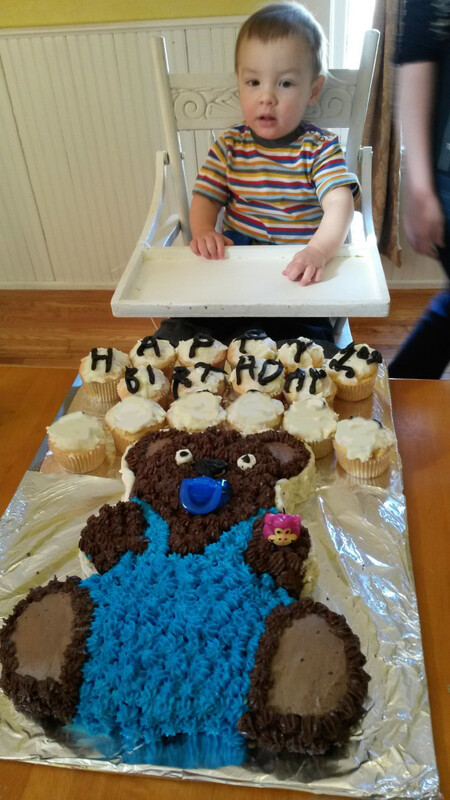 Judging by the amount of photos that Grandma took this past weekend, I feel that I have been slacking on the grandson picture posting. Here are some more Frugal Boy picts. 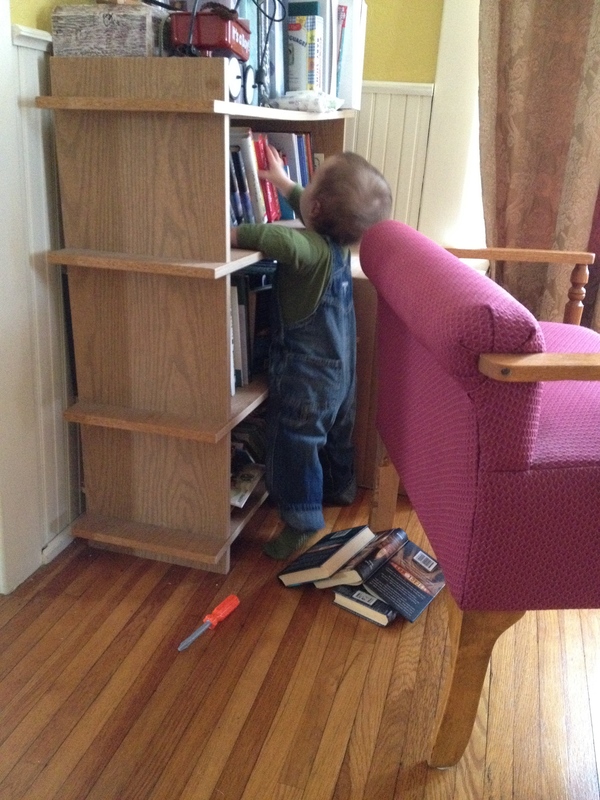 Here’s a short video of him getting into the bookshelf. What challenges are you doing while you wait for Spring? Posted in: Frugal Boy, Misc. 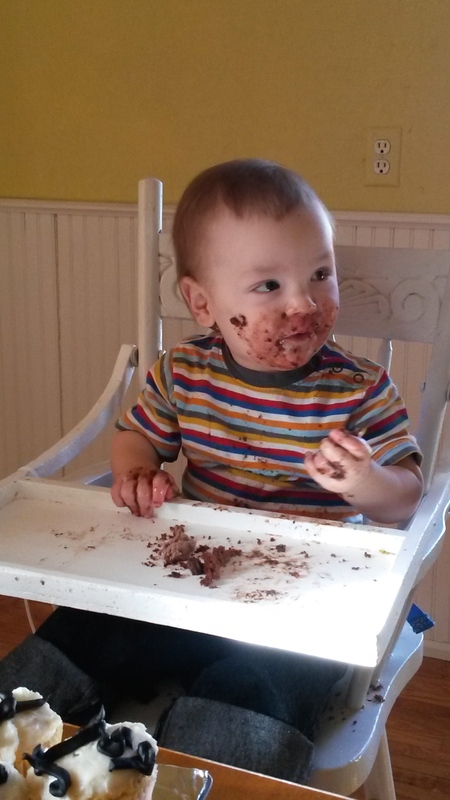 Today we celebrated Frugal Boy’s 1st birthday. Today isn’t his real birthday but our schedule worked out better this way for us. 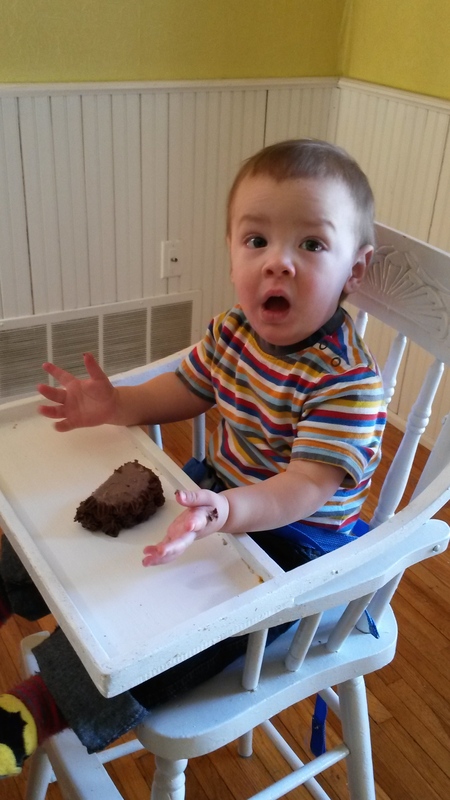 He wasn’t quite sure what to do with the piece of cake we gave him. He’s never had much in the way of sweets. It didn’t take him long to figure it out though. Later on some of the neighbor boys came over and played. It won’t be long before he is trying to run and keep up with them. 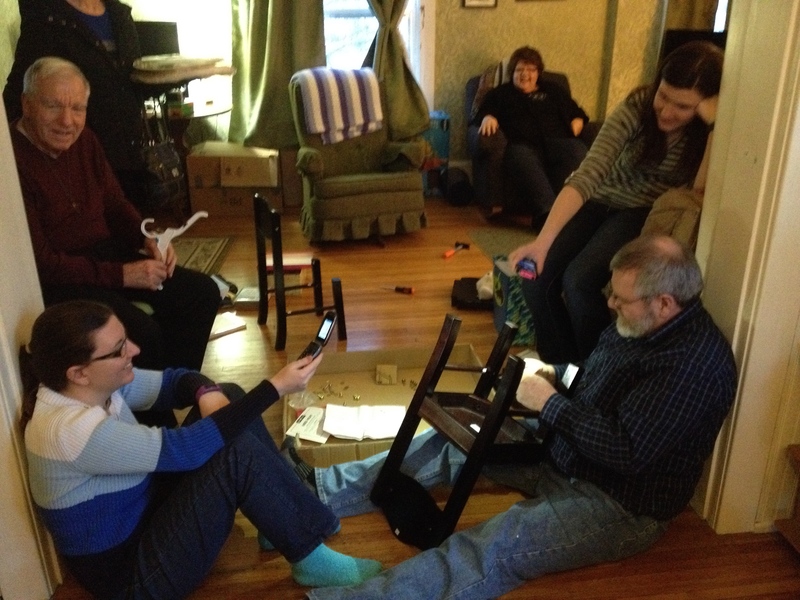 After everyone had their fill of cake and ice cream we opened up presents. One of them required some assembly. Thank you to everyone who came. Frugal Boy had a great time and loved all of the attention.